After three years away from the scene, Underoath came roaring back... but why now? When Underoath announced plans to separate in 2012, fans were faced with a farewell tour and feared that the exhausted band would never return. Three years later, the six members reunited with recharged batteries and a new tour celebrating their two landmark albums They’re Only Chasing Safety and Define The Great Line. 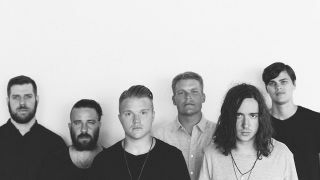 We caught up with vocalist and drummer Aaron Gillespie to discuss what caused the temporary departure, what the reunion means for their 19-year legacy, and their return to the UK next year. So Aaron, what actually happened to Underoath? Did the band contact you when they called it a day in 2012? Was there any bad blood between you? How did it all feel at first? How are fans taking it so far? Does this mean new material?